We are a mobile, full-service catering company, equipped to handle a wide variety of events. 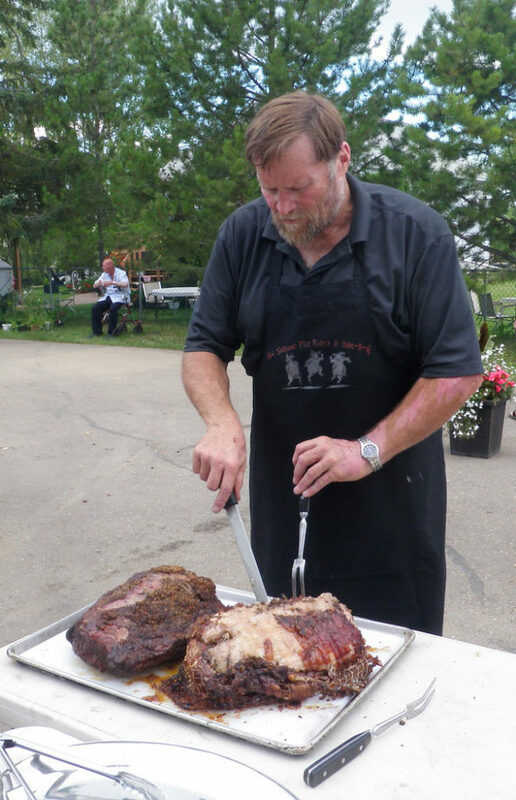 We have been serving all of Alberta with our unforgettable meals and professional services for more than 20 years. And with our extensive list of satisfied customers, we are confident we’re doing it right. Our changing menus offer an array of delectable selections, each customizable to fit your culinary desires and we always clean up the banquet food table afterward! Our professionally trained staff specializes in not only whole pig roasting, but has decades of experience with beef roasting, steak, chicken, lamb, and other meats. Our staff aims to help and assist you all we can in planning your event as stress-free and as simple as possible. We have several crews that allow us to do numerous functions at any given time, whether breakfast, lunch, or dinner. We would love the opportunity to cater your next delicious event. Call today for a free estimate on our quality service and meal choices. Find out how our catering can serve your function.